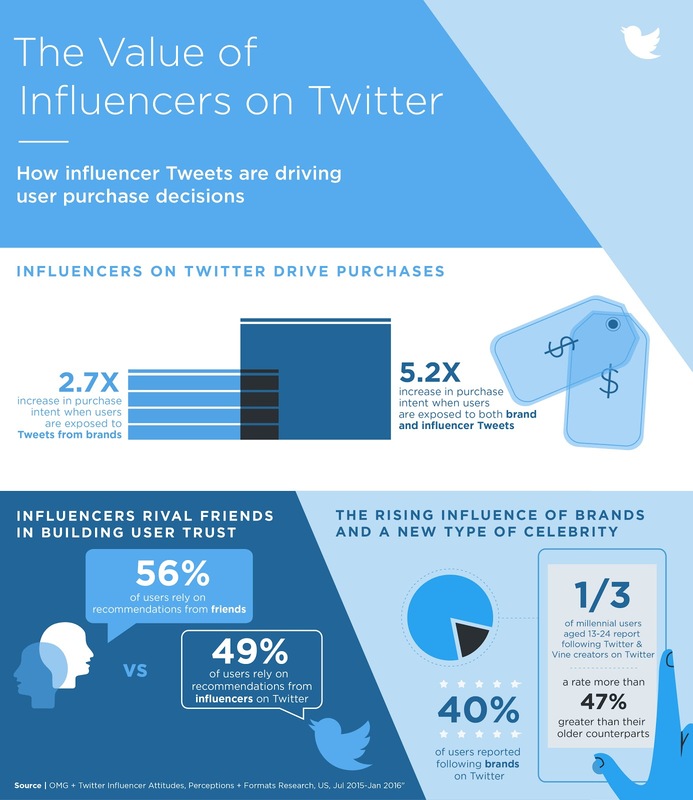 According to a joint study by Twitter and analytics firm Annalect, around 40 percent of respondents said they've purchased an item online after seeing it used by an influencer on Instagram, Twitter, Vine or YouTube. Also, 20 percent of respondents said they shared something they saw from an influencer, while one-third of millennials say they follow a creator on Twitter or Vine. A generation ago, marketers would put household names on the front of cereal boxes, said Twitter vp of market research and insights Jeffrey Graham. Now that online influencers can sell other products to anyone with a smartphone, household names have evolved into "handheld names"—people who are highly influential and well-known based on their social media presence. "People are looking at their phones, they're reading what influencers say and then they're telling their friends," Graham said in an interview with Adweek. The results came from a two-part study between Twitter and Annalect. In order to study awareness, favorability, and purchase intent, the companies first surveyed more than 300 users to see how they responded toward brand influencers compared with their ad formats or suggestions from their friends. In a second phase, they studied how 500 users exposed to display ads and other traditional digital formats compared with watching a piece of content from an influencer. 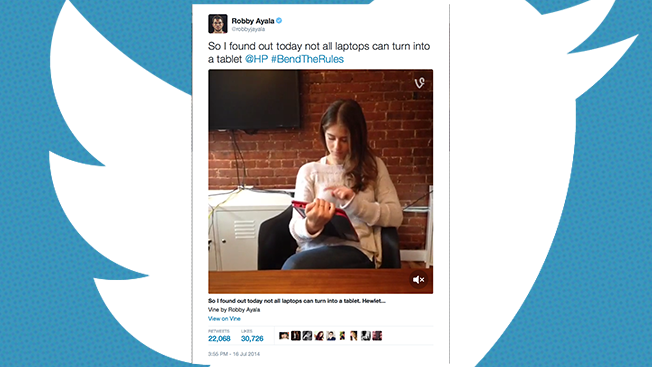 The brands using influencers are just as varied as the influencers working with them, with recent campaigns being run by HP, Burt's Bees, Miracle-Gro and J.C. Penney. Graham said influencers on Twitter can be "an ROI machine," but the degree to which that was illustrated in the study was surprising even for him. For example, while users who are exposed to a tweet from a brand experience nearly three times the increase in purchase intent, that number rose to five times when exposed to both a brand and a tweet. And while 56 percent of users surveyed said they rely on recommendations from friends, 49 percent said they rely on influencers. It's unclear exactly how much more valuable today's influencers are compared to the Wheaties boxes of the past, but Graham said that's largely because advertising is more measurable than it was 30 or 40 years ago. "Comparing it to the Wheaties box, I guess anecdotally we know that putting Bruce Jenner on the cover drove a lot of Wheaties purchases," Graham said. "But I'm not sure if 20, 30, 40 years ago, advertisers were looking that closely at the ROI on their investment." The number of influencers available had also dramatically increased. On Niche—a company Twitter acquired last year that develops content on Vine, Instagram and other social platforms—the number of influencers in the pool to choose from has grown from 6,000 to more than 24,000 in a year. Average deal size has also gone up, increasing 250 percent, with the number of monthly campaigns rising 300 percent. "I think what this is telling us is that you don't have to be a mass media star or a household name to be influential and actually drive people to buy stuff," Graham said. "But actually, this whole cadre of influencers through social media—especially Twitter because that's what we know about from the research—are driving a lot of purchases by a lot of people."